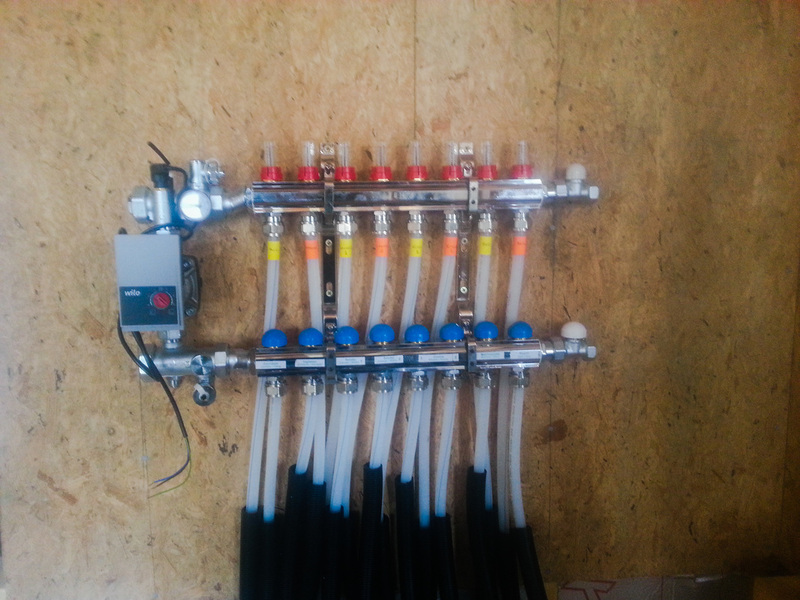 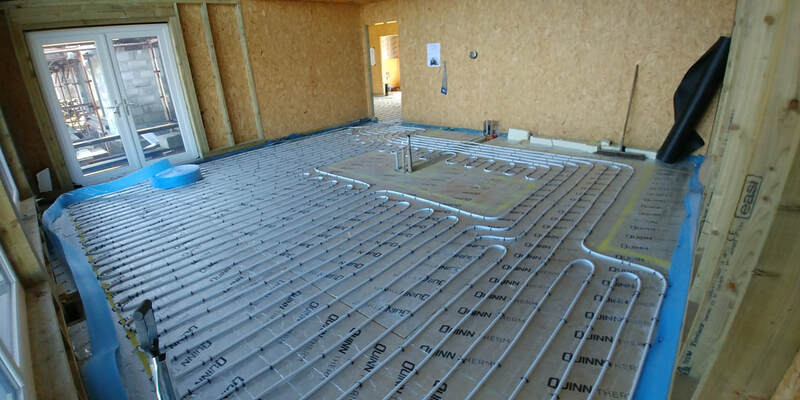 Uponor delivers water based underfloor heating, wall heating, ceiling heating as well as cooling systems. 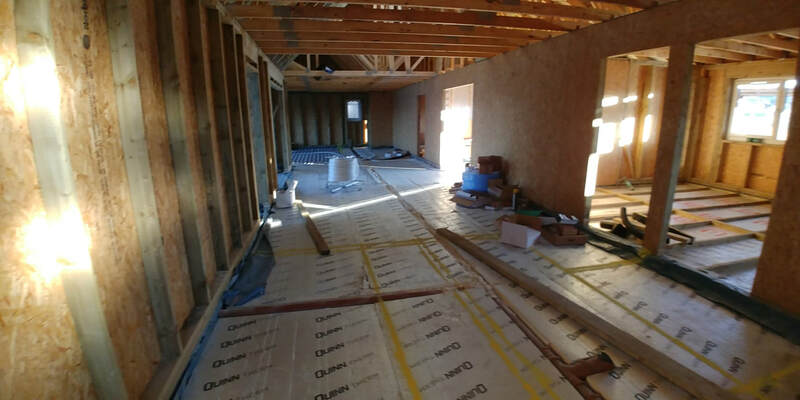 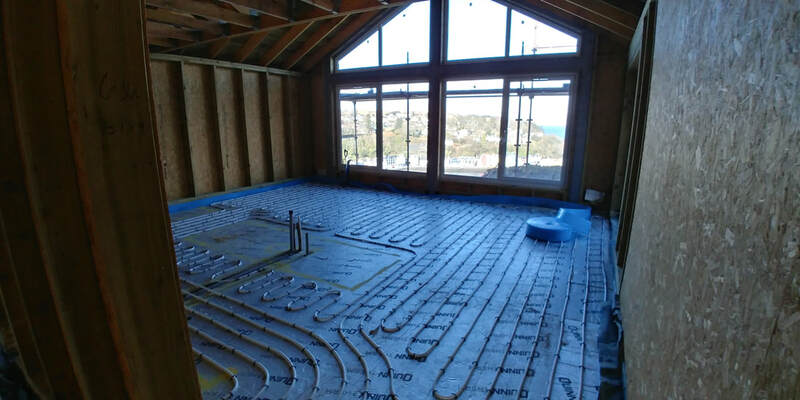 Due to the low operating temperatures used in radiant heating systems, it is the most energy-efficient way to distribute heat within buildings. 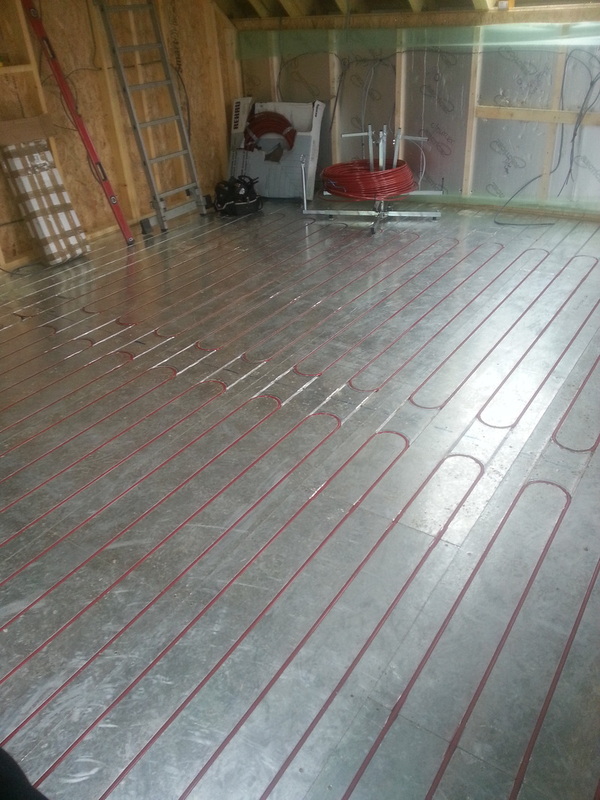 Low operating temperatures enable optimal efficiency of the heat sources. 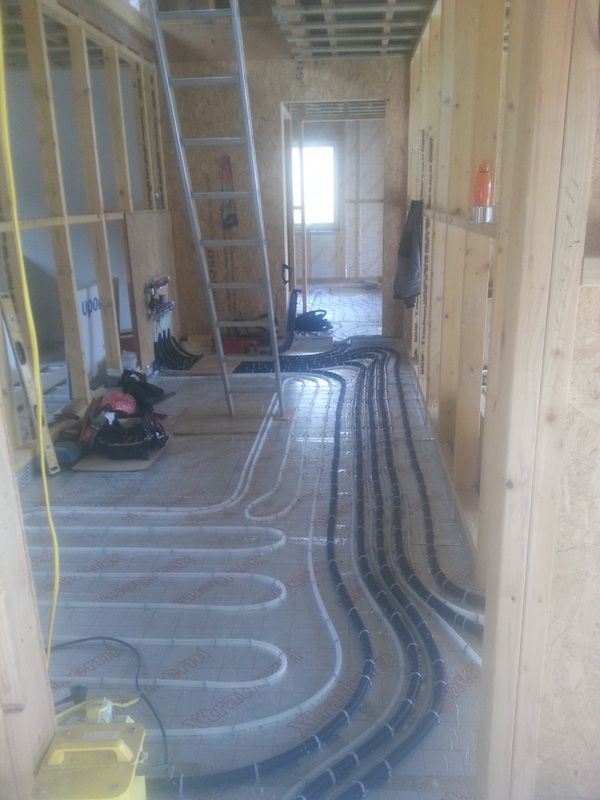 Radiant heating offers the best comfort to occupants and can even be used for cooling at no additional cost. 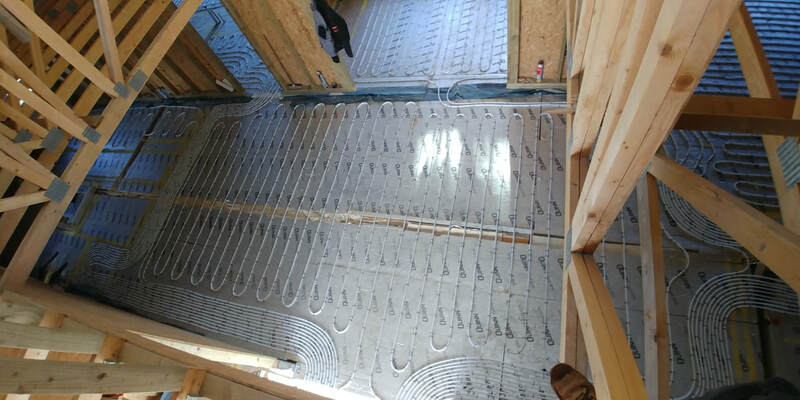 The entire installation is invisible, which gives you freedom for any kind of architectural style. 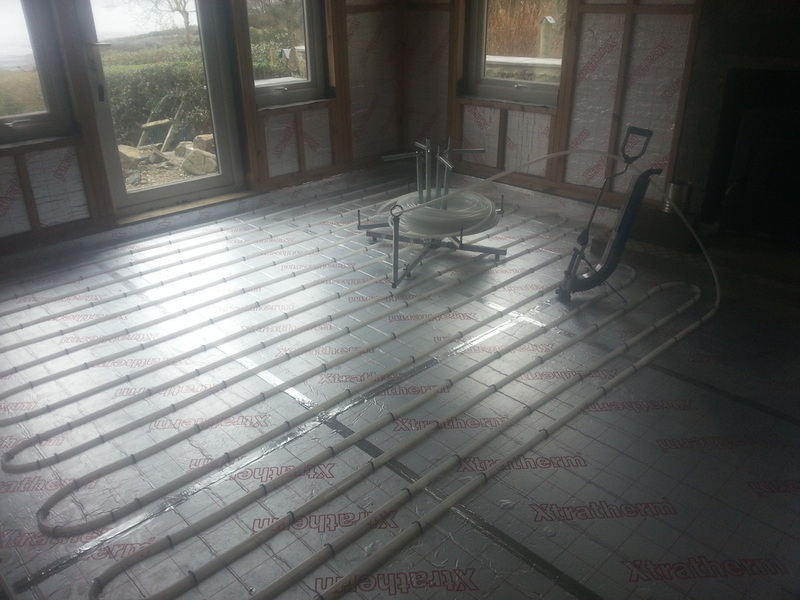 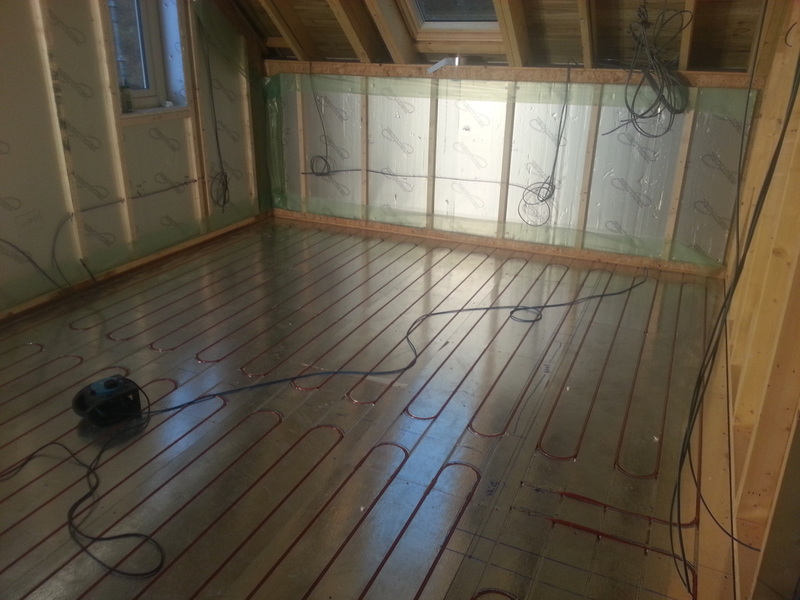 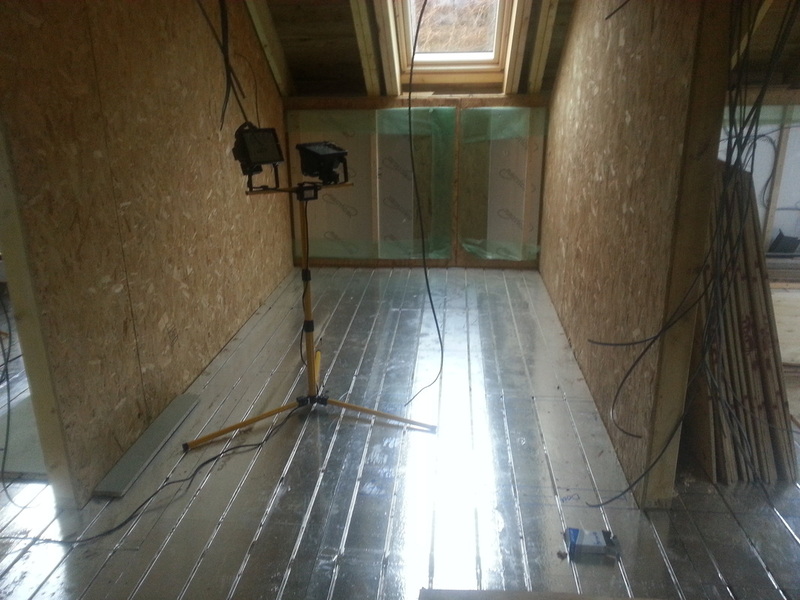 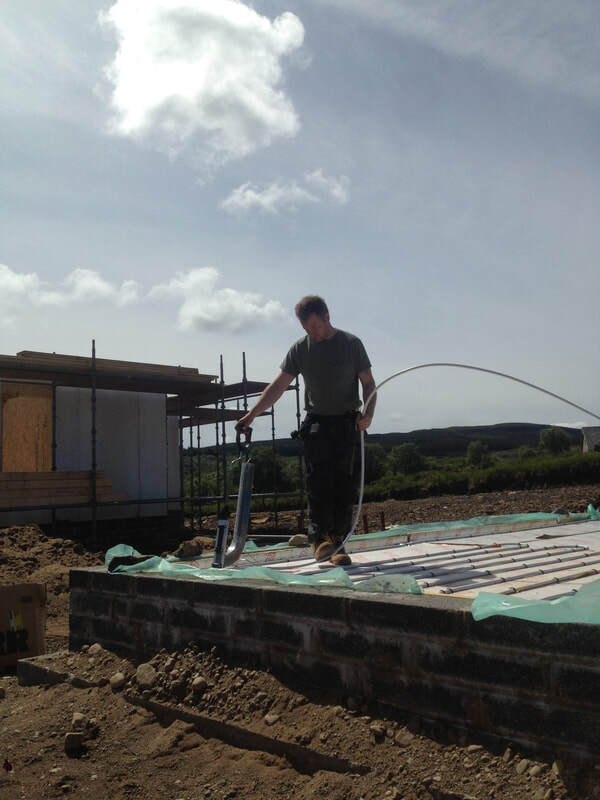 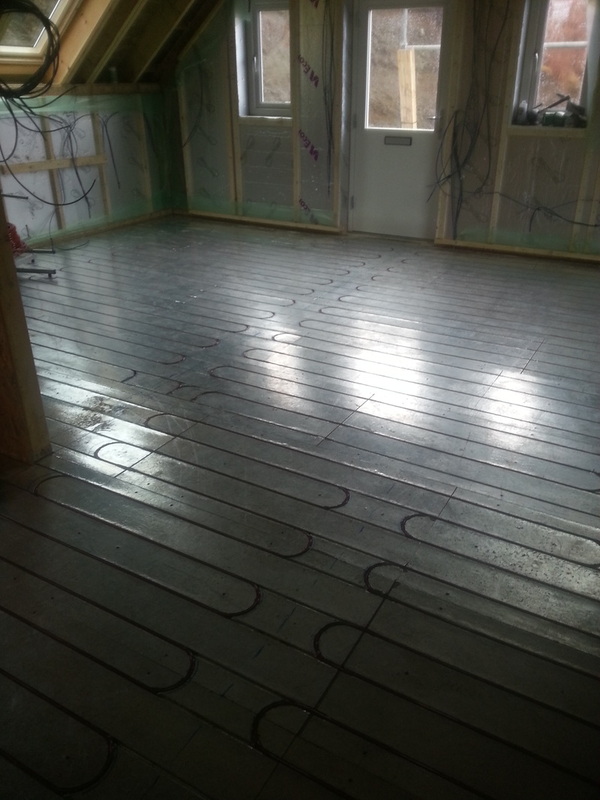 Pictures are of a staple to insulation method which is covered with a screed to give a solid heated floor. 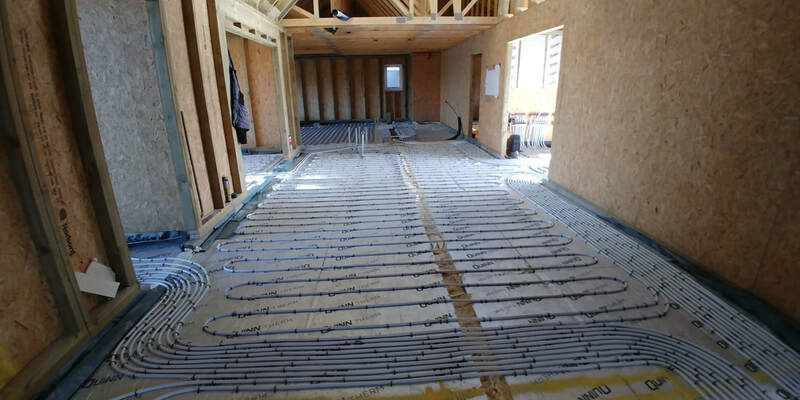 Heating is supplied from a boiler to a manifold which then distributes heating to each room with separate controls for each area. 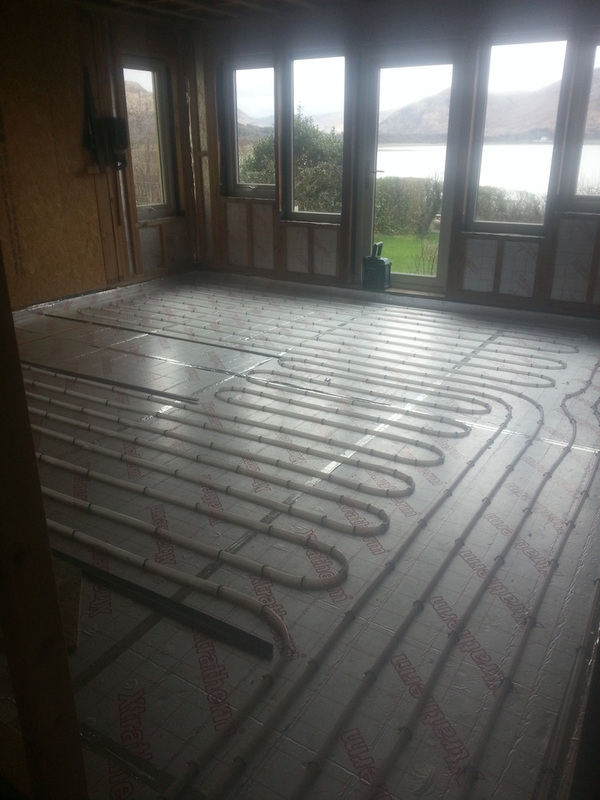 Installing an energy efﬁcient heating system can save you money. 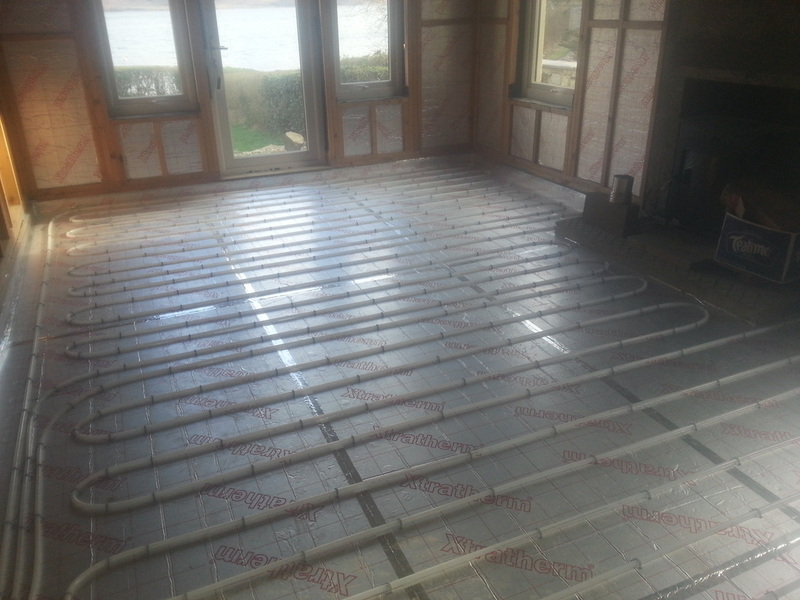 The low water temperature circulating in the ﬂoor system, and the distribution of heat where you need it, this combined will save you money on your fuel bills. 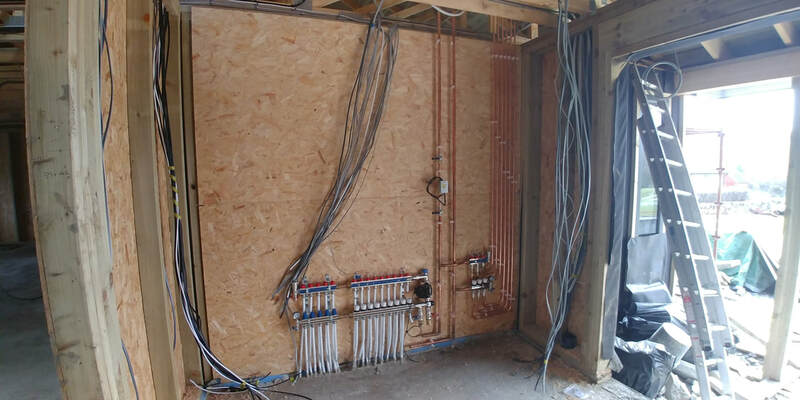 The system is almost maintenance free, with the pipes having an expected life of over 100 years, tough and robust, they are corrosion-free and resistant to scale build-up.